My Beauty Diary is the first beauty facial mask I came across 5 years ago, highly raved among the Taiwan celebrities and featured in Beauty TV Programme. It has became so popular among the Singaporeans, its now one of the best-selling No.1 Facial & Eye Mask brand in Singapore. My Beauty Diary has recently launched its NEW Black Mask range featuring three exquisite variants – Black Obsidian Moisturizing, Black Rose Brightening and Black Pearl Total Effect Black Masks. Rich in trace elements and minerals that restores healthy skin, French Black Obsidian helps support the skin’s protective mechanism and enhances the skin’s hydrating power. The infusion of Laminaria digitata and sugar maple delivers intense hydration to the deep layers of skin to improve dry skin texture, revealing renewed and brighter skin. Enriched with numerous soothing ingredients like Calendula officinalis, Licorice, and Ruscus aculeatus extracts to relieve dry, rough and irritated skin, the mask is also rich in Bladder wrack seaweed, Aloe vera, and hydrolyzed Jojoba for improved hydration, allowing the skin to feel optimally nourished, revitalized with glowing luminosity! The unique structure of the 3D Hyaluronic acid forms a protective film over the skin to replenish and retain moisture, preventing dehydration and allowing skin to stay deeply hydrated. Yeast compound helps tighten and regulate skin tone, and effectively soothes fatigue skin in just 15-20 minutes to reveal a glowing, youthful and velvety smooth complexion. With refined tailoring and texture characteristics, the black sheet mask material provides the perfect fit that conforms not only to your facial contours, but also your neck area, offering optimal adherence and comfort fit you deserve. Infused with essential essences to deliver instant nourishment to your skin, this mask simultaneously eliminates impurities in the pores, yielding porcelain, shine-free and silky smooth skin! Reviews: After cleansing your face, apply toner on your face before putting on the mask. Leave it for 15-20 minutes. My skin immediately feels supple and hydrated. No stinging & uncomfortable feel while having the mask on. Definitely suitable for all skin types. Moisturizing Black Mask first-hand by redeeming their FREE samples in a ‘Group Redemption Deal’. Valid only for the first 1,000 fans who participate in this group deal, the deal would only be unlocked once 1,000 entries are received. 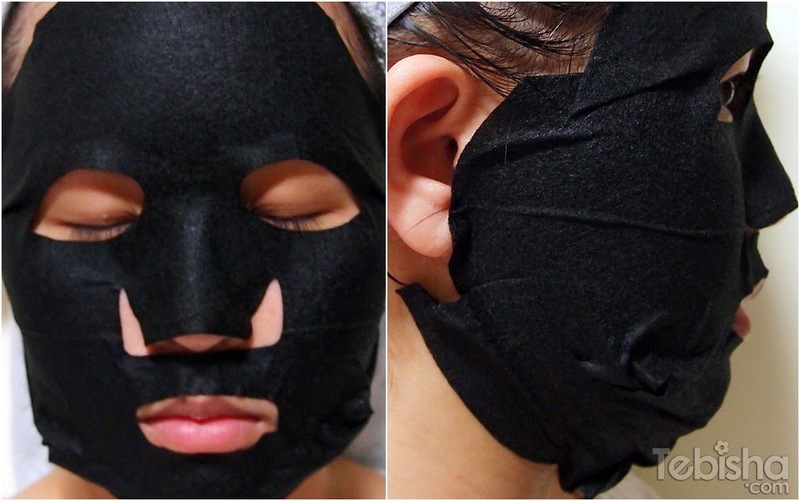 Each of them will receive a single-piece pack of Black Obsidian Moisturizing Black Mask, worth $3.95 each! So hurry and share with your friends now! Guardian, Sasa, Watsons & www.NaturesMart.com.sg at $16.90 for a 5-piece pack.